Mr. Witt Goes to Washington? There’s a report out today about former Mojave Air and Space Port CEO and General Manager Stu Witt being considered for a high-level position at NASA headquarters in Washington. The possible positions for Witt include deputy administrator, the second-ranked job at the agency. This is a politically appointed position that requires Senate approval. President Donald Trump has not yet nominated candidates for NASA administrator and deputy administrator. Rep. Jim Bridenstine (R-OK) is widely viewed as a leading contender for the top position. 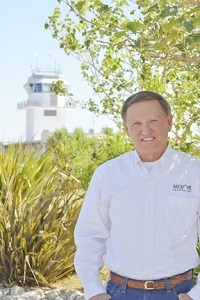 Witt ran the Mojave Air and Space Port for 14 years before retiring in January 2016. During his tenure, he developed the former Marine Corps training base as a major center for space research and development. The FAA designated the facility as America’s first inland spaceport in 2004, the same year Burt Rutan and Scaled Composites made history with the first private space flight by SpaceShipOne. Tenants of the High Desert spaceport include Virgin Galactic, The Spaceship Company, Northrop Grumman, BAE Aerospace, Stratolaunch Systems, Masten Space Systems, XCOR Aerospace and Interorbital Systems. While running the spaceport, Witt helped to found the Commercial Spaceflight Federation. He also traveled to both Washington, DC, and California’s capital, Sacramento, in support of various legislative initiatives sought by the space industry. Since retiring from the spaceport, Witt has run S. O. Witt & Associates, a consulting firm that has focused on the space industry. His clients include SpaceX and the Mojave Air and Space Port. That would certainly be a new prescedent. Good luck Stu!